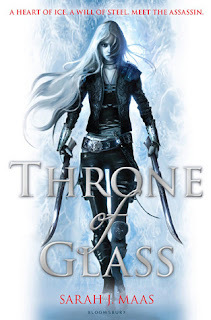 While Throne of Glass by Sarah J. Maas is still fresh in my mind, I thought I'd post a Cover Wars about it, seeing as I haven't done one in ages! Again, this is the US versus the UK. First up, the US cover. Now I love the background image of the castle. In the novel, apart from the bits at the bottom, the castle is completely made of glass - something Celaena, the heroine, finds ridiculous. I love how they've placed that there to give the whole cover a bit of a mystery and slightly fantastical effect - it doesn't look quite real. Then we move on to the model. While she is gorgeous, she just isn't the Celaena I've read about in the book. If I could put a caption beside her head, it would say "See this dagger? I've hidden some extra hairpins and my make up brush in it. Sneaky, right?" It just looks a bit boring and typical - nothing really eye-catching. She's just another pretty face. Then we move on to the UK cover. Aside from the fact that I have this copy, I just think it has that wow-factor that mimics how great the story is. 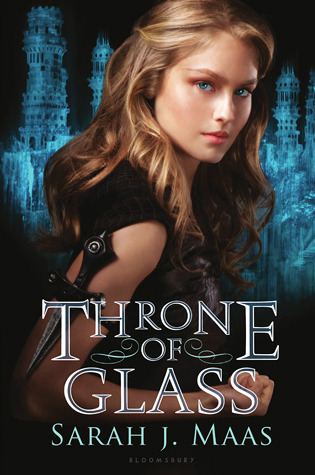 Although it is a drawing, Celaena's essence seems to have been captured in this cover; even without the swords she would look dangerous, with the black of her clothing contrasting drastically with the white of her hair and the background. She looks like an Ice Queen, ready to shove a sword straight through your heart. If this had a caption, it would definitely say, "Look at me the wrong way, and I will mess you up." Personally, I think it's been apparent right from the start who the winner would be. Although I like certain aspects of the US cover, the UK cover is better by miles. It truly manages to capture the danger and actions of the story. Interesting! I prefer the UK's version also!